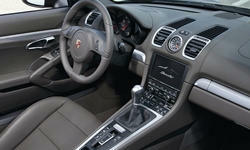 See repairs for all Porsche Boxster model years. 6000 mi Front trunk carpet liner was deforming at the top edge and sagging from adhesive failure. Dealership replaced defective carpet liner under warranty. 27000 mi A/C stopped working , no fault (leak) was found . System re-gassed under warranty. See our lemon odds and nada odds page to see vehicles with no repairs or vehicles with more than three repairs. 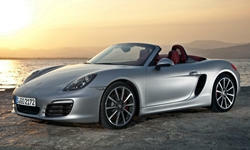 To see how frequently 2015 Porsche Boxster problems occur, check out our car reliability stats.